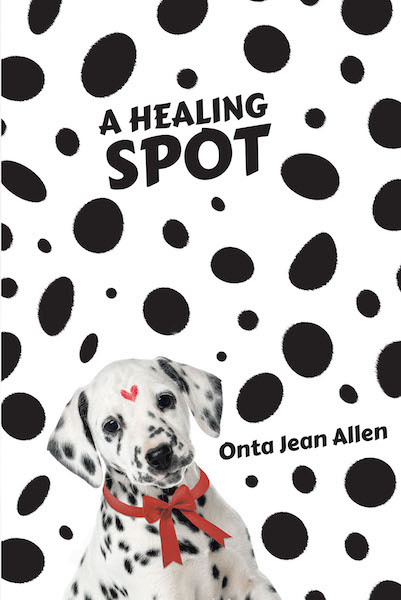 A Healing Spot is a poignant story about a Dalmatian puppy who has supernatural healing power in his spots. After being separated from his family, Spot sacrifices his spots to help each person he encounters to rise above hatred, sickness, poverty, violence, and other world challenges. These people are unaware that they, too, have healing power that is manifested through various acts of kindness. But, Spot's main goal is to return home in time to heal his owner – eight-year-old Emma, who is battling leukemia. He has to get back to help her before he loses the last of his spots and leaves this world forever. Returning to his family at last, Spot reminds us all of the true meaning of life, love, and sacrifice.